Total Cholesterol and Cholesteryl Ester Colorimetric/Fluorometric Assay Kit | BioVision Inc.
Inhibitor (U-18666A, 2.5 mM) a cholesterol transport inhibitor. Fluorescence (Ex/Em = 482/515 nm). 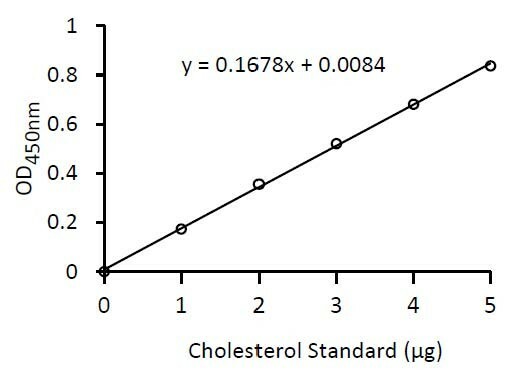 Screen serum samples or lipoproteins (isolated or recombinant) for cholesterol efflux. Screen small molecules for their effect on cholesterol efflux (a valuable tool for drug discovery program).